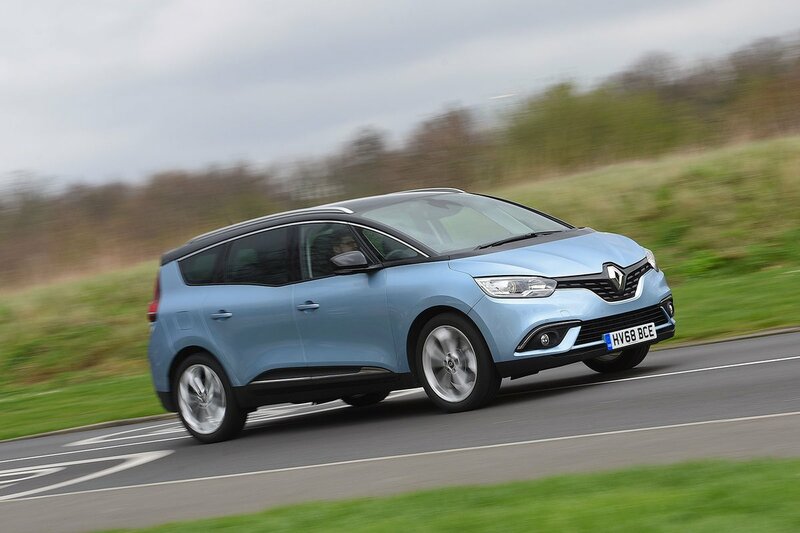 Renault Grand Scenic Boot Space, Size, Seats | What Car? Compared with the standard five-seat Scenic, the Grand Scenic is around 23cm longer. 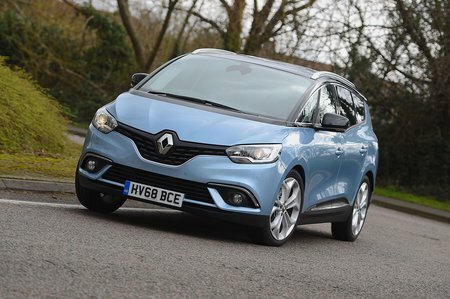 This extra length is split between the rear overhang and the distance between the front and rear wheels, giving a bigger boot, more rear leg room and the option of seven seats. If you do plan to carry six passengers, most of them had better be kids or exceedingly short adults. With the middle row slid forward enough to give reasonable leg room for third-row passengers, taller adults will find their knees jammed against the front seats. Even with the middle row pushed back, a high floor forces an adult’s knees to be raised much higher than their hips. While this is fine for short journeys, we suspect anyone in their teens or older will be uncomfortable after a couple of hours. 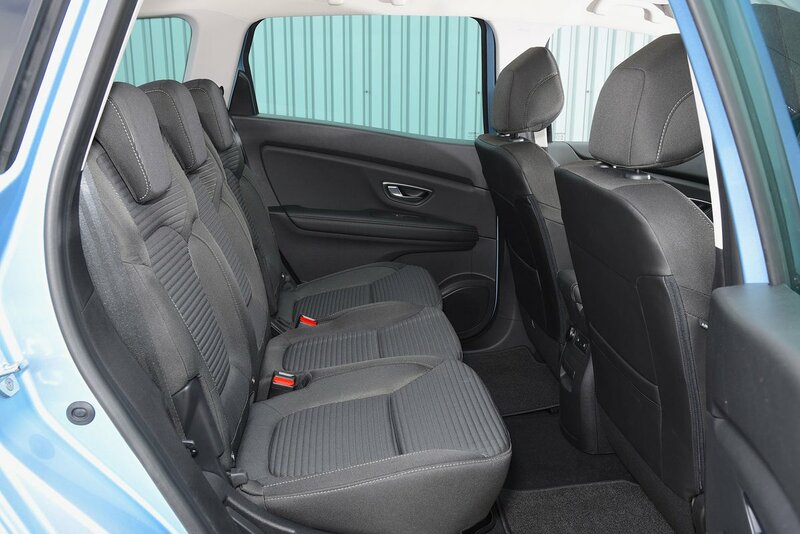 The Volkswagen Touran is definitely more spacious inside. The Grand Scenic does offer more in the way of cubbyholes, however. There are four in the floor, a massive sliding centre console on the top three trims, a big glovebox, plus handy picnic tables on the back of the front seats (depending on specification). The boot is big enough for the weekly shop with all the seats up and becomes cavernous once the rearmost row is stowed. On higher trim levels, this can be done at the touch of a button or through the infotainment system. The middle row can be folded the same way, too.